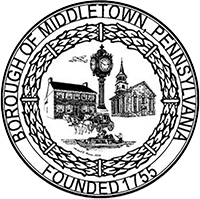 By State law, Pennsylvania Borough’s operated under what is typically described as a “strong council-weak mayor” form of government. Unlike in cities, where the Mayor is generally the chief executive, a Borough Mayor’s duties are limited primarily to oversight and administration of the Police Department. A Borough Mayor also holds the power to declare emergencies, though such a decision also is subject to ratification by the Borough Council.